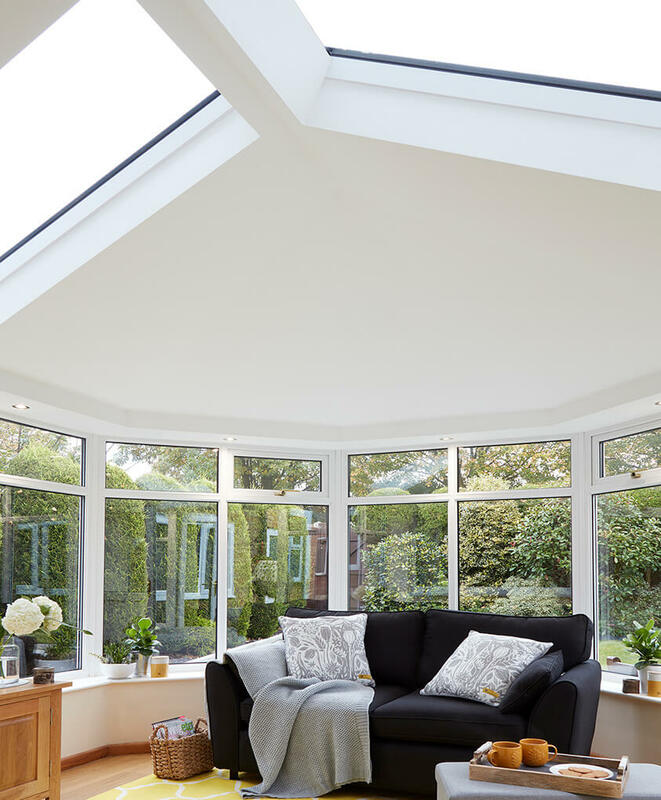 The Ultraroof tiled roof is a conservatory roofing system that looks fantastic and provides a huge boost to a conservatory’s thermal performance. 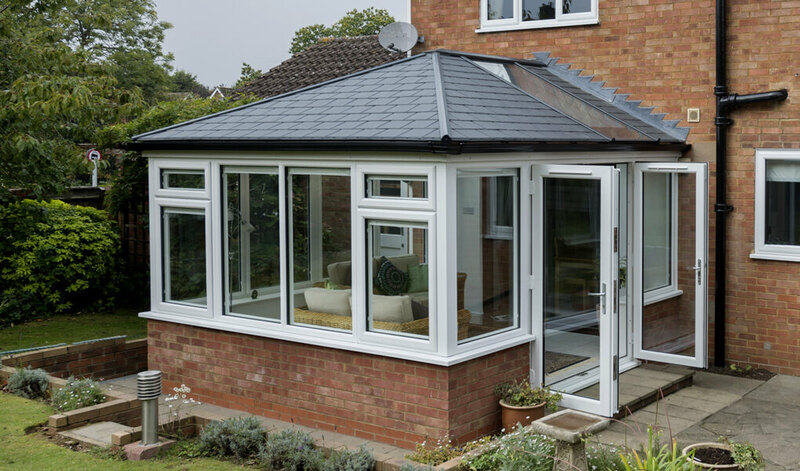 Consisting of lightweight, easy-to install tiles that look stunning, they’re perfect for any new conservatory or as a replacement for an outdated, poorly performing conservatory roof. Achieving a consistent temperature throughout the year is only one of the many benefits on offer with an Ultraroof tiled roof. Providing you with a conservatory space that is well-lit and comfortable, you’ll be able to use your conservatory for any purpose. Performing exceptionally well in terms of energy efficiency, they’ll also save you plenty on energy costs. 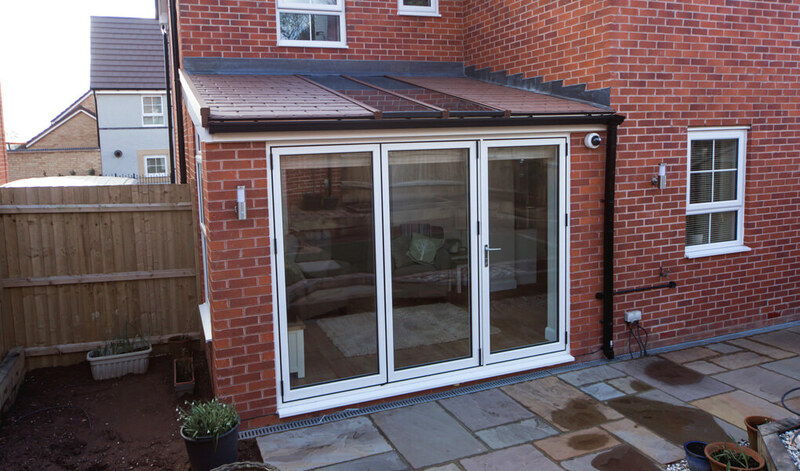 Featuring a plastered ceiling internally and with the option of incorporating energy efficient glazing into the roof, there’s plenty of scope for customisation. Ultraroofs are fully compliant with Building Regulations and they’ve been stringently fire tested too, ensuring you and your family will be protected. And because they’re exceptionally lightweight (only 38kg), they’re suitable for placement on almost any existing conservatory structure. Suitable for usage on Victorian, P-shape, Lean-to, Double hipped & several other conservatory styles. An Ultraroof tiled roof is quick and easy to install, meaning they’ll be minimal disruption to your life whilst the T&K team is fitting one. With U-values of just 0.16 w/m2k, the thermal performance of an Ultraroof tiled roof is nothing short of exceptional. All components on an Ultraroof tiled roof come with a 10 year warranty. 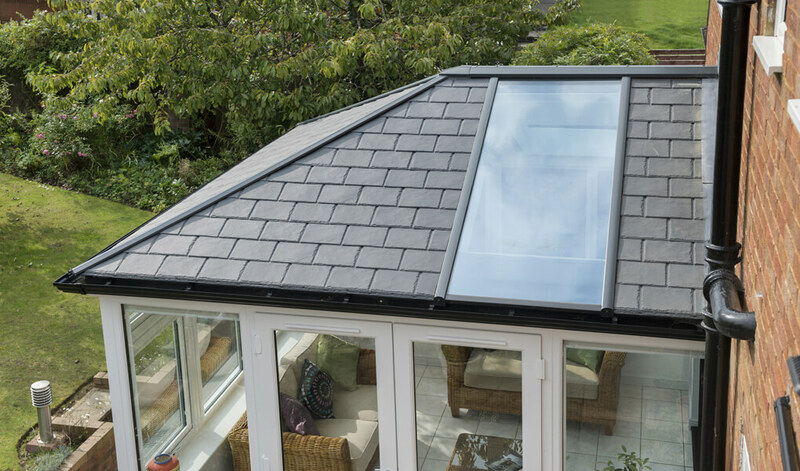 The tiles on an Ultraroof tiled are available in a selection of three fine finishes, ensuring suitability to all properties. Available colours are Carbon Grey, Harvest Brown and Terra Brick. 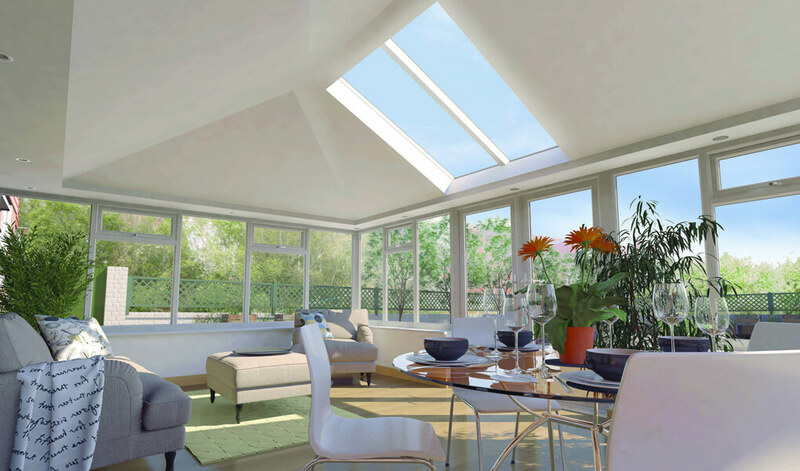 For additional light and ventilation, T&K can incorporate rooflights into the roof structure. This will add more value than a totally solid roof over a dark room. Full length glass panels are also available, for a significant light increase. Here at T&K, we also install the Supalite tiled roof, a tiled roof variation that provides a similarly fantastic range of benefits. 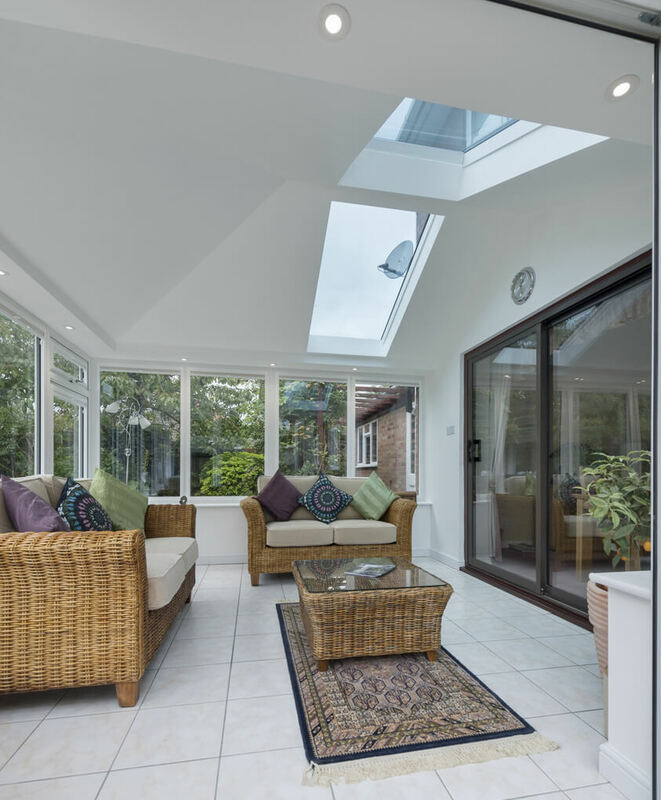 Alternatively, fully glazed and lantern conservatory roofs are available. Recessed spotlights and speakers can be integrated into the internal plastered ceiling. A major benefit of integrating them into the ceiling is that you can enjoy light and sound without having to use up additional space.